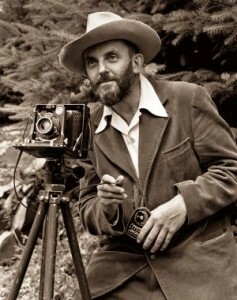 Ansel Adams was a California-born nature-lover and photographer, who became famous for his iconic photography of Yosemite National Park and other parts of the American west. There is also the distinct possibility that he may have suffered from dyslexia. He was not successful in the various schools to which his parents sent him; consequently, his father and aunt tutored him at home. Ultimately, he managed to earn what he termed a “legitimizing diploma” from the Mrs. Kate M. Wilkins Private School — perhaps equivalent to having completed the eighth grade. Despite his lack of formal education, Ansel’s work as a photographer was so highly regarded that he was awarded honorary degrees from Harvard and Yale. In 1980, he was awarded the Presidential Medal of Freedom, the nation’s highest civilian honor.